We are based in Poland - worldwide film artists, top notch crews, great diversity of locations. We are people who don't sleep when you sleep, we are the pros who plan when you don't have time to and the ones who work their asses off to give you the best line production services here in Poland. We arrange the impossible when everyone else gives up – whether it is Optimo zoom you need in the middle of nowhere for the next morning 6 A.M. sharp, the vintage train to jump off that bridge or a private jet to land on your set. We are the guys who will get you all the necessity permits against all odds if you need that special location badly. Muchas Gracias is supported by best precision drivers and stuntmen in the region. We have the best people, the hardest gear and the coldest vodka. Very centre of Europe. Traditional architecture similar to that in Paris, Vienna, Prague or Budapest. Scenic landscapes, seaside, snowy mountains like Alpes, industrial areas. Warsaw, the capital, with its modern downtown and appealing old town. Cracow, the most beautiful market square in Europe. All in one day driving distance. Poland hosted great feature films like “The Pianist”, “The Schindler’s list”, “Bridge of Spies” or “The Chronicles of Narnia”. It is home to widely recognised directors – Polanski, Wajda, Kieslowski and directors of photography - Idziak (“Black Hawk Down”), Sekula (“Pulp Fiction”), Kaminski (“Saving Private Ryan”). We have shot our productions extensively throughout Poland. We carried out significant projects with multiple locations, thousands of extras and permissions arranged on short notice. 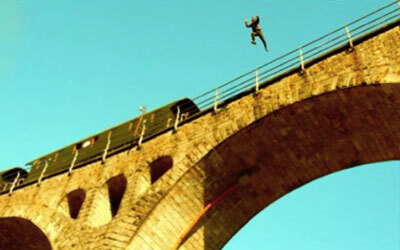 We have experience in providing to the set and coordinating vintage trains, aircrafts and car convoys. We know how to shoot and run preproduction for next days at the same time. We collaborated with stuntmen that worked on Mission Impossible, Black Hawk Down, Troy, Van Helsing to mention just a few. Muchas Gracias was a line producer of the Polish sequences for the feature films „Mersal“ – and „24“ absolute blockbusters of the Tamil cinema! 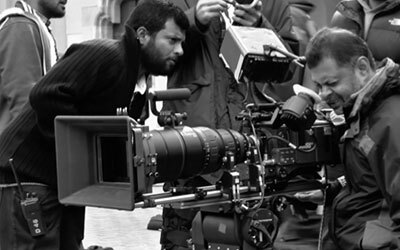 These demanding projects were shot in many scenic locations and cities throughout the country thanks to efficient cooperation with local film commissions. We are based in Warsaw, the capital of Poland to provide line production services in the most developed and interesting city in Poland. Warsaw is home to top notch professionals from the Polish film industry. The city boasts of modern downtown and appealing old town. We have also strong connections in Cracow, second Polish biggest city that has been acclaimed the most attractive tourist destination in the world in 2017. In Cracow we provide production and postproduction services. film, light and sound equipment.